Today I decided to do something I rarely do; I used a string that I'd drawn some months ago. I have a bunch of tiles and pages in my sketchbook with strings on them that wait for lazy days to be used. Sometimes you just "have" to try a new tangle and oh hey, look, a string that would just suit. Or other times you feel a need to find that zen zone without the necessity of engaging actual cognition on the path - gee, whaddaya know, a string is right here, waiting for me. I had occasion to tidy up my work area and whilst doing this task I decided I needed to use this peculiar string. I have no recollection of drawing it, so I have no idea WHAT I was thinking, but it was definitely an odd one. For some reason it tickled my fancy and I just had to see what would happen with it. ASSUNTA made another appearance within, as well as PAUW, one of my newly designed favourites I'll draw up for you soon. It has a very "buglike" look to it! Nice and light. Good fun, it reminds me of a filigree brooch. Airy and light...a fabulous tangle! This is lovely, I feel the need to practice some strings for future use! your slideshow for initialize is up and running!! Hey Christine, how are things? Haven't seen a post or comment from you in a while. Hope everything's alright. Thank you for making the effort to comment - let's talk! 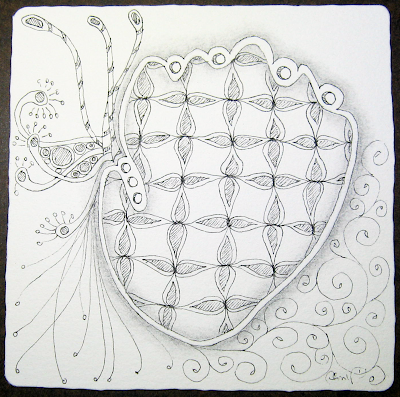 Zentangle® is an easy to learn method of creating beautiful images from repetitive patterns. This fun and relaxing activity increases focus and releases creativity. 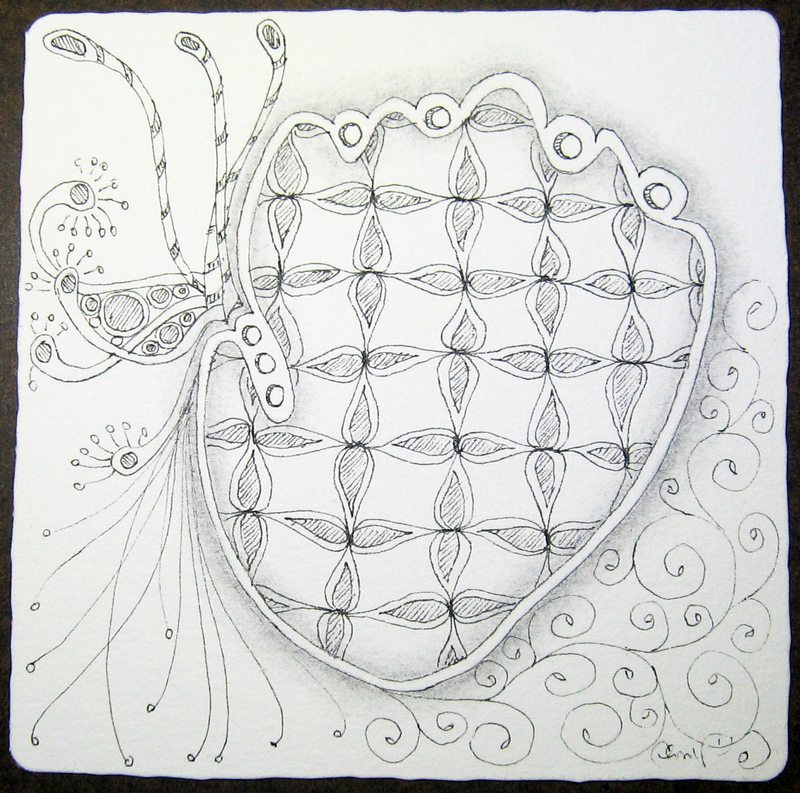 Developed by Maria Thomas and Rick Roberts, learn more at the official Zentangle site. Enjoy the Zen of the Pen! stART To Follow Me - thank you all! People Who stART - love these blogs! All artwork is wholly owned and original to Christina Vandervlist, unless otherwise clearly noted. Please do not "lift" images or text without contacting me through my profile email first. I appreciate the courtesy and will always return it in kind.